We want your visit to Allure to be as smooth as possible on you and your pet. Here are some tidbits to help you prepare. Allow about 60-90 minutes for your appointment. 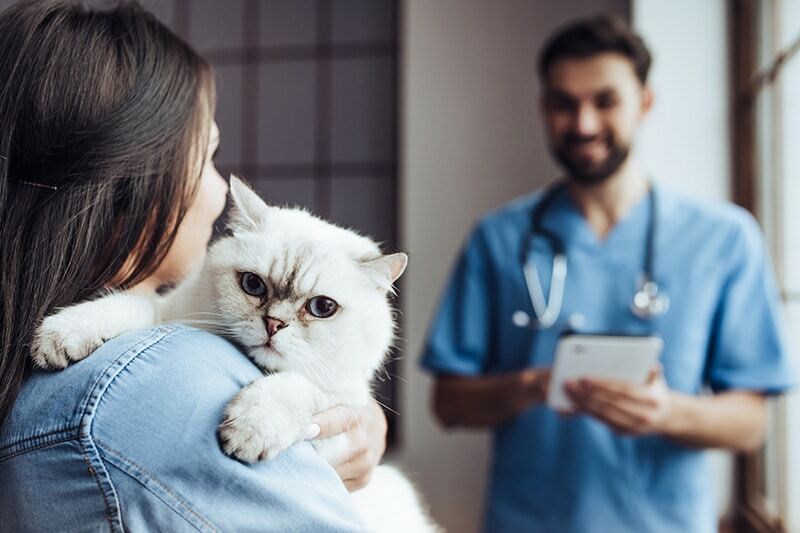 Whenever possible, arrive 15 minutes before your scheduled appointment time to ensure we have all the necessary information collected about you and your pet. We will make every effort to contact your family veterinarian before you arrive to obtain your pet’s medical records. You can help this process by contacting your family veterinarian and requesting the records be sent to us at allurepetspecialists@gmail.com. Your family veterinarian can also upload your pet’s records in our private, electronic veterinarian portal. Please ask if your pet has any food or water restrictions for their visit. After your pet’s examination and assessment of their history, one of our doctors will create a treatment plan and this will be discussed with you prior to any additional treatments. Examples of recommended treatments may include blood tests, ultrasounds, CT scans, IV fluids, or surgery. Again, nothing will be performed without your approval. Sometimes the recommended treatment plan may require you to leave your pet with us for the day or overnight. It is wise to pack a meal’s worth of food and all of your pet’s medications, just in case. If your pet has to stay with us, we will make every effort to create a warm, safe, low stress, and comfortable housing situation for them. We have freshly laundered beds, blankets and towels to offer them so we ask that you do not leave any personal pet items with them. We know how much you love them and want them happy, and so do we. However, we also don’t want germs to come or go on any personal items.